4 tracks from 40 expert speakers across 2 days in January – 20% off now! More than 500 blockchain gaming professionals will gather at London venue, The Brewery, for the UK debut of Blockchain Gamer Connects in 2019. During the two days of 21st and 22nd January, delegates will be treated to four conference tracks delivered by more than 40 expert speakers from around the world. We’ve already revealed speakers from Alto.io, Animoca Brands, DappRadar, Reality Clash, Stick Sports and 8 Circuit Studios – and today, we’d like to share some more of the incredible speakers you’ll find on stage at the show. We’re thrilled to announce that Worldwide Asset eXchange (WAX) Chief Executive Officer, William Quigley, will speak at Blockchain Gamer Connects London 2019. We’re expecting a full house for his seminar addressing why gaming can’t reach its full potential with current blockchain technology. You’ll find out why public blockchains aren’t capable of supporting large audiences of gamers in this candid presentation that makes the case for purpose-built solutions specifically designed to meet gamers’ needs. Discuss the challenges facing blockchain gaming and how to solve them, Quigley will explore the future of gaming and the truth about decentralisation and blockchain. Sebastien Borget, Co-Founder and COO at Pixowl will illustrate the awesome powers of Non-Fungible Tokens (NFT) for blockchain gaming. He’ll explain blockchain technology and how it benefits gaming specifically, as well as the important aspects to consider when making games on the blockchain. Borget will go on from designing ERC-721 NFTs for games to thinking about new multiple token types standards such as ERC-1155. This seminar will look at the opportunities to become the next Supercell/King of blockchain gaming and why this is only the very beginning and it’s the perfect time to jump onboard! Dima Raketa, CEO at DGD, will paint a broad brushstroke picture of the blockchain, including how it works, the meaning of tokens and why they’re needed. Meanwhile, DomRaider’s Etienne Roudeix will explain how Auctionity scales Ethereum blockchain. The schedule also features seminars from companies including Moonify, and Waves. And you won’t want to miss the panel debate looking at lessons learned to take to next gen blockchain games. We’re pleased to reveal the panel will feature EverdreamSoft CEO Shaban Shaame; Blockchain Cuties Co-Founder and CEO Vladimir Tomko; and B2Expand Director of Business Development & Marketing Marie Franville, who will all join Reality Clash co-founder, Tony Pearce for what is sure to be an exciting seminar. 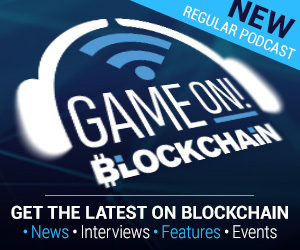 As well as the packed conference schedule, Blockchain Gamer Connects London will feature a vibrant expo space, international networking and fringe events. 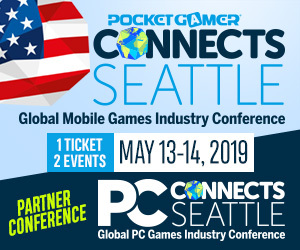 The event will run alongside Pocket Gamer Connects, which returns once more as the biggest B2B mobile games industry conference in Europe. Plus PC Connects too. Your ticket will get you into all three shows. Save up to 20% with our Mid-Term prices and book now!